May has been a big month for ICMPD – we have gained two new Member States! Further, we published our Annual Report, featuring an interview with our Director General and an editorial entitled "The era of migration – the next 25 years". Don't forget to scroll down all the way to our latest migration explainogram. Let us know on social media whether you, too, think these statistics are remarkable. This May, Malta and Turkey joined ICMPD as the 16th and 17th Member States. Both Malta and Turkey not only host ICMPD offices and staff in their respective countries but have already closely cooperated with ICMPD on a broad range of projects in different thematic areas. Read the news and press releases here. Featured: "The era of migration - the next 25 years"
ICMPD is celebrating the 25th anniversary of its founding. 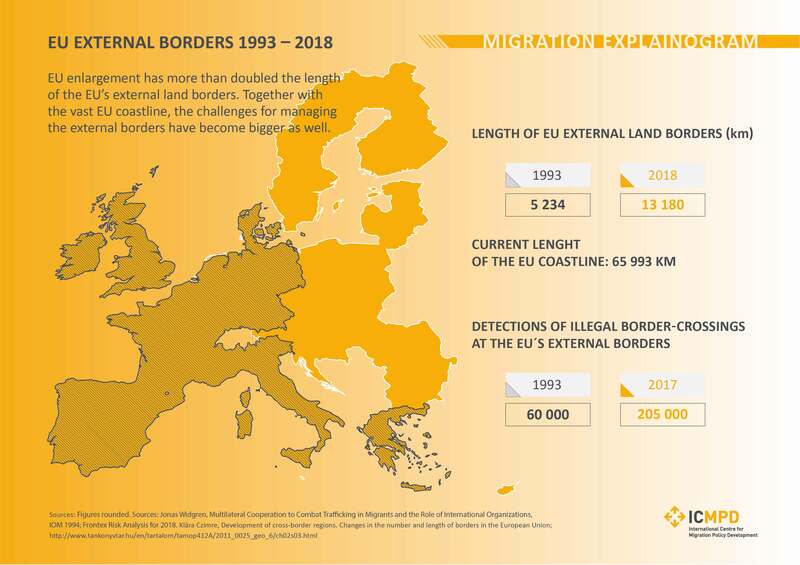 On this occasion two of our directors, Lukas Gehrke and Martijn Pluim, wrote an article where they connect the dots of the past with the present and the future of migration. The article originally appeared in the Annual Report, published one week ago. It includes themes such as city migration, crisis-driven mobility, return, diaspora, counter-smuggling, human trafficking, irregular migration and regular pathways. "The era of migration - the next 25 years"
If you like this #explainogram please like or share﻿ it. If you don't want to receive any more messages, you can unsubscribe at any time.